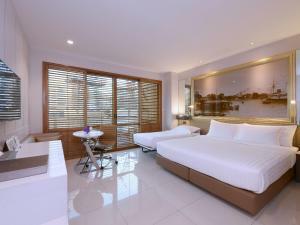 For a refreshing alternative to hotel accommodation, indulge in a stay in a beautiful contemporary hotel on prestigious Wireless Road. 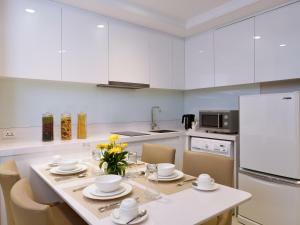 The property is located next to Ploenchit BTS Skytrain Station. Free WiFi is available in all areas. 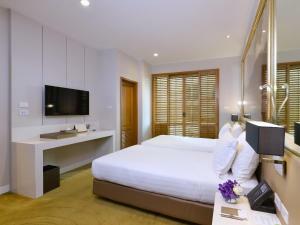 Ideally situated in the heart of the city, the hotel is a 5-minute drive to Central Chidlom Shopping Mall and a 10-minute drive to Central World Shopping Centre. 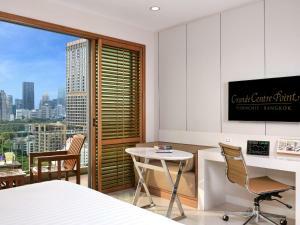 It is a 15-minute drive from Siam Paragon Shopping Centre and MBK Mall. 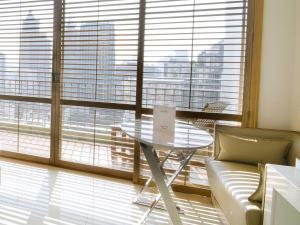 The bright and modern rooms come fully furnished and have a balcony with city views. Guests will find a comfortable bed, a seating area to relax after a long day and a flat-screen TV with satellite channels. 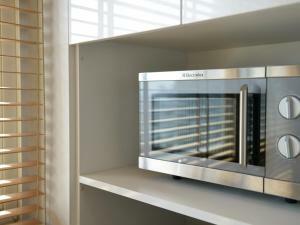 The bathrooms are fitted with shower facilities, slippers and a hairdryer. 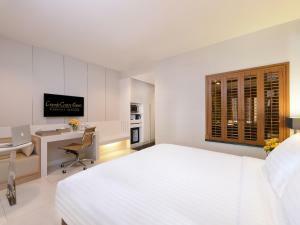 At Grande Centre Point Hotel Ploenchit you will experience the charm of superior Thai service in all aspects. Enjoy yourself day or night in the comprehensive facilities of a sunny swimming pool and a fully-equipped fitness centre. With all of this, you are safe in the knowledge that your home from home is protected by the finest 24-hour security. Complimentary coffee and tea is available at the lobby. Guests can enjoy Thai and international dishes at BlueSpice Restaurant. 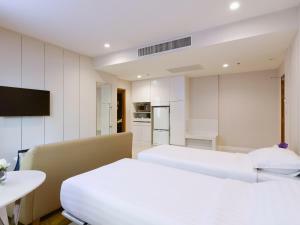 Please note that the hotel requires guests to settle a refundable deposit in the amount of THB 1000 per room per night upon checking-in (THB 2000 per room per night for Two-Bedroom Suite and Three-Bedroom Suite). 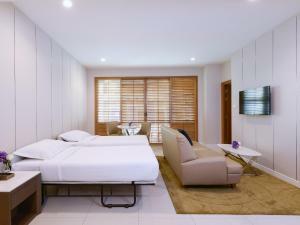 Please be informed that any type of extra bed or baby cot is upon request and needs to be confirmed by the hotel. Please note that construction works are taking place nearby from 09:00 to 20:00 hrs. Guests might experience noise disturbances. One child under 4 years stays free of charge when using existing beds. One child aged between 4 - 11 years is charged THB 400 per night when using existing beds and this includes breakfast. Guests are required to show a photo identification and credit card upon check-in. Please note that all Special Requests are subject to availability and additional charges may apply. Large room comes with a private balcony. There is no capacity for extra bed in this room. 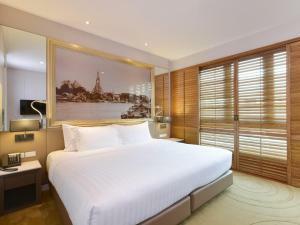 Rate: THB 3777.78 ... THB 32000.00; select dates below to get current rates. 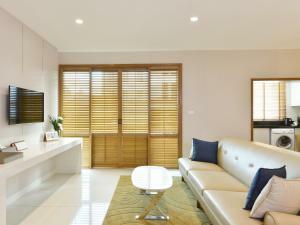 Large room features living room with a flat screen TV. 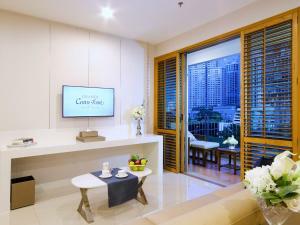 Suite features 2 bedrooms, 2 bathrooms and a living room. 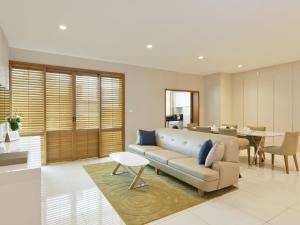 This triple room has a balcony, seating area and dining area. Please note that this room type has no capacity to accommodate extra beds. 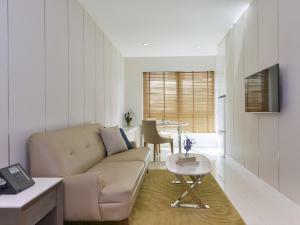 This Thai modern-style suite comes with a large living room with 2 extra beds, a sofa and a 2-seat dining table. It also has a bathroom with a separate shower and bathtub. 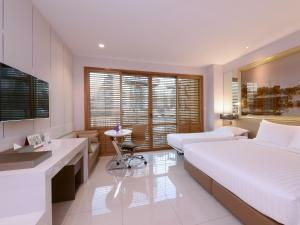 Please note that the bedroom comes with a King-size or twin beds and is subject to availability upon check-in. Please note that this room type has no capacity to accommodate extra beds. 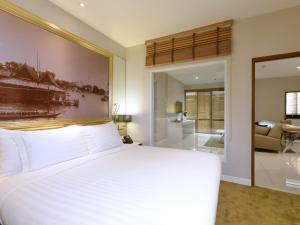 This Thai modern-style suite comes with a large living room with 2 single beds, a sofa and a 4-seat dining table. It also has two bathrooms. The master bedroom comes with 2 single beds. The second bedroom with 1 queen bed. Please note that this room type has no capacity to accommodate extra beds.